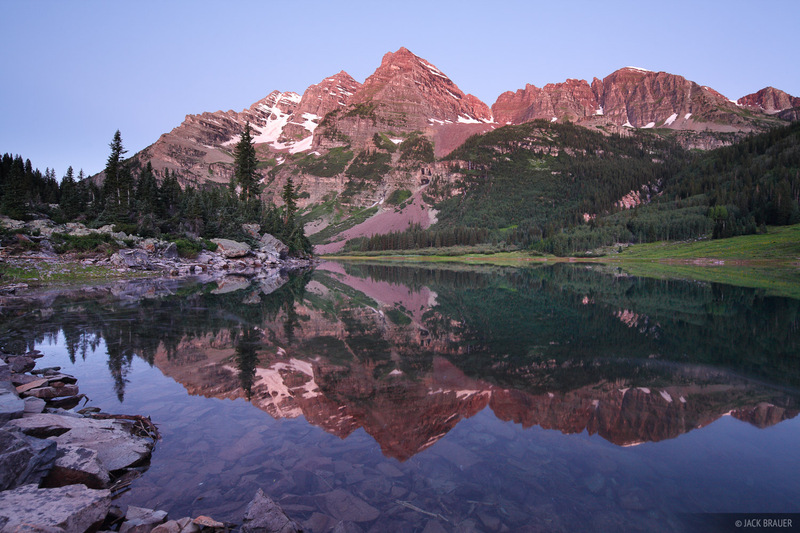 The Maroon Bells reflect in Crater Lake at dawn. 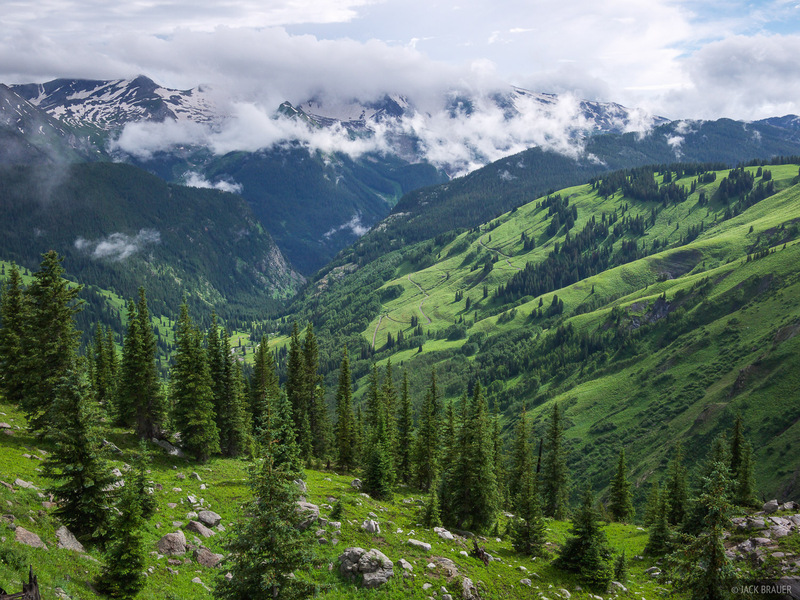 Endless green in Purity Basin, as seen from West Maroon Pass - July. 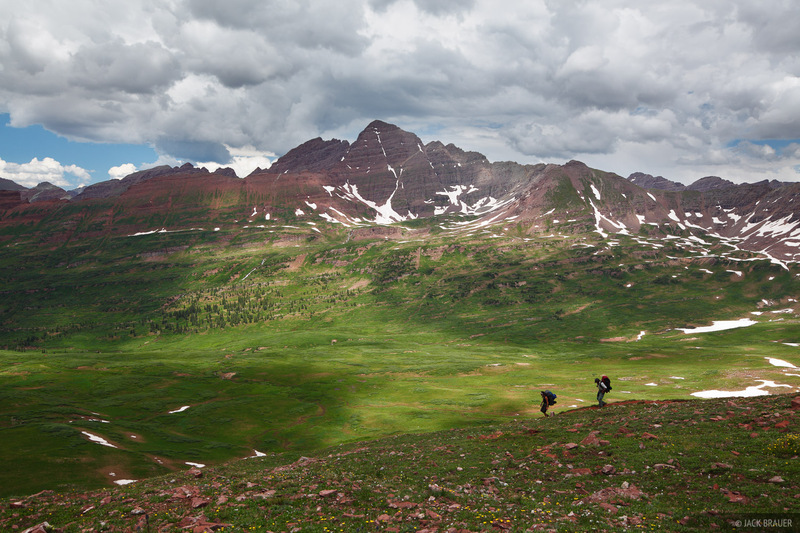 Hikers descend into Fravert Basin from Frigid Air Pass, with the Maroon Bells dominating the scene. 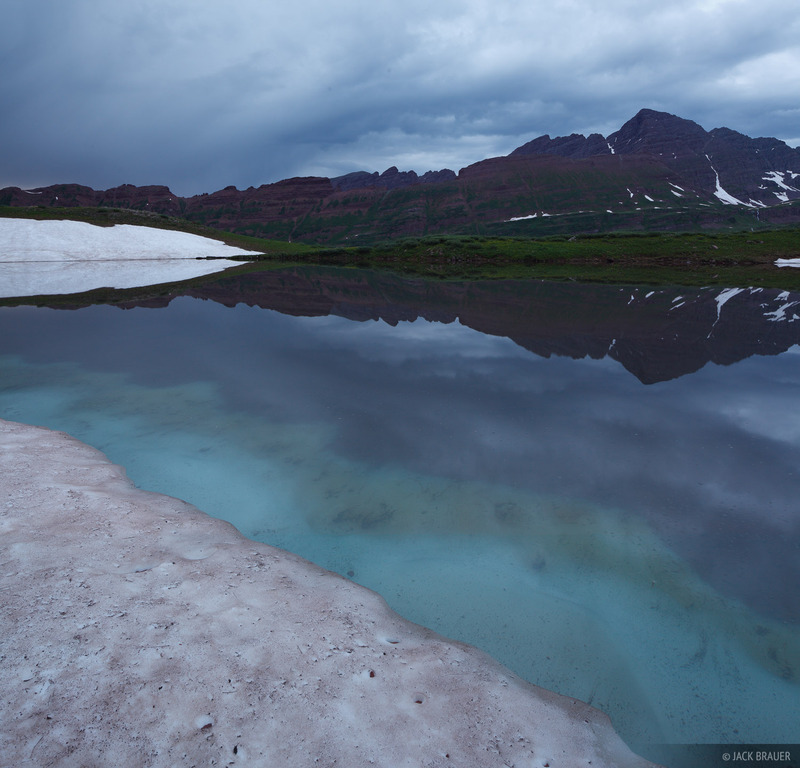 The Maroon Bells reflect in a partly snowed-in tarn high in Fravert Basin, with gloomy, stormy evening weather. 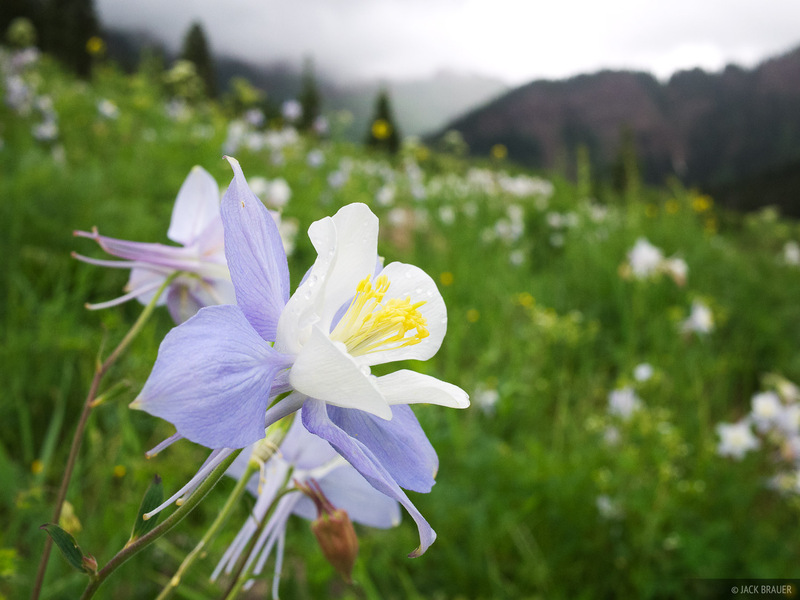 Columbine with a rain storm moving in behind. A sunset spotlight on Snowmass Mountain, reflected in Geneva Lake. Stormy weather above Lead King Basin. Unsettled monsoon weather over Lead King. 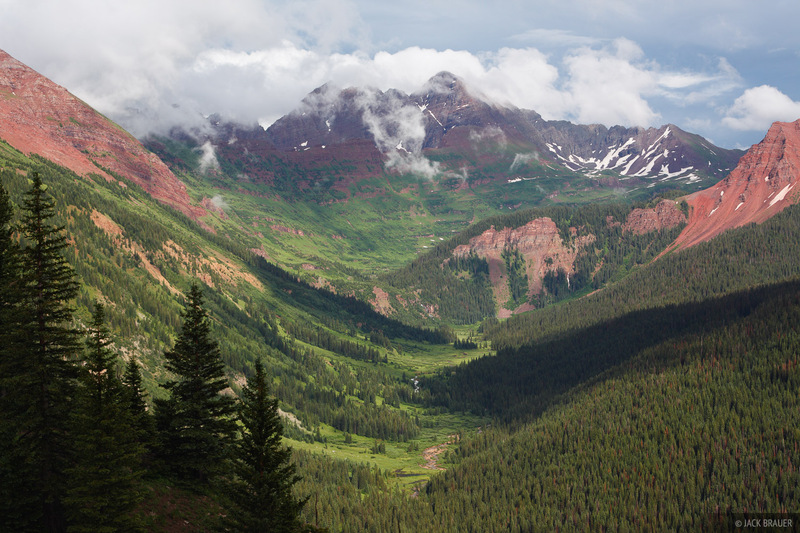 Storm clouds lift off the Maroon Bells, above Fravert Basin. 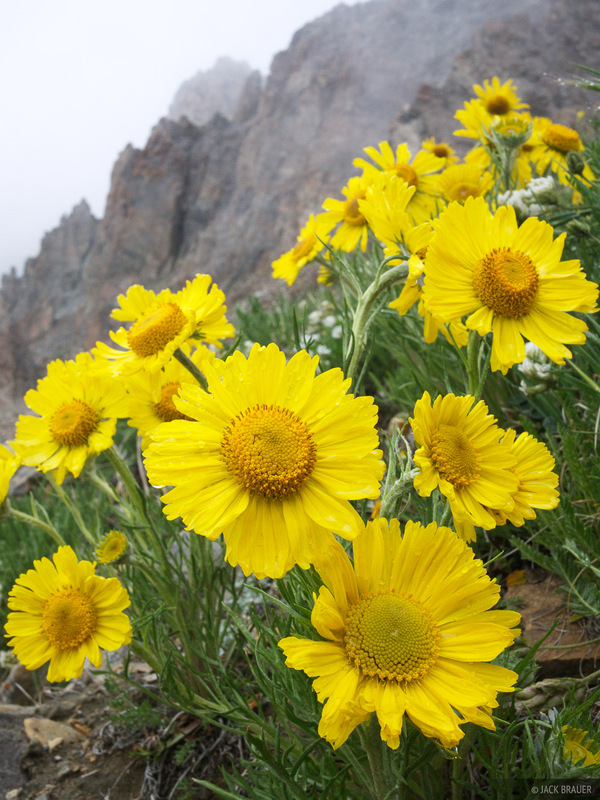 Sunflowers at Trail Rider Pass. 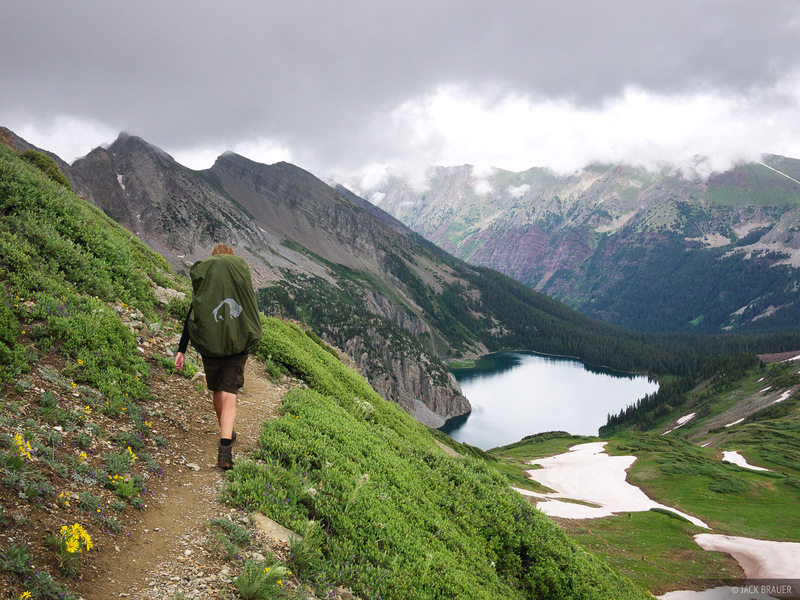 Hiking towards Snowmass Lake, from Trail Rider Pass. 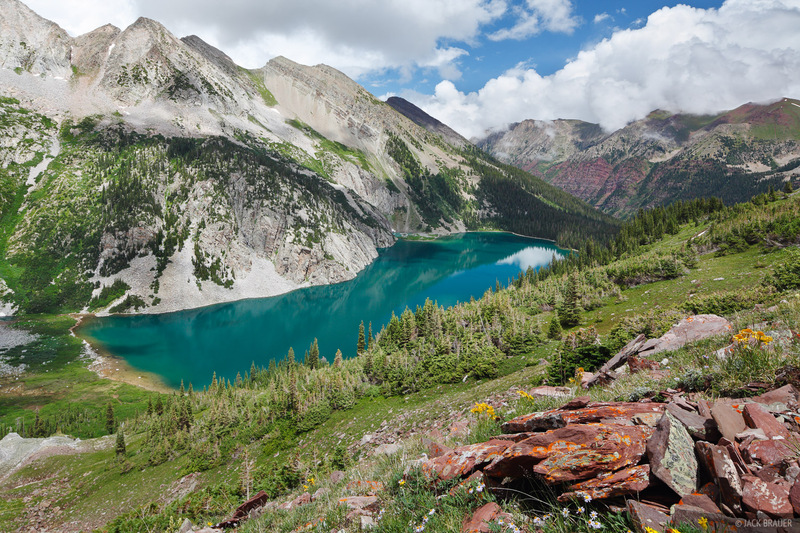 An overview of the windex-colored Snowmass Lake. 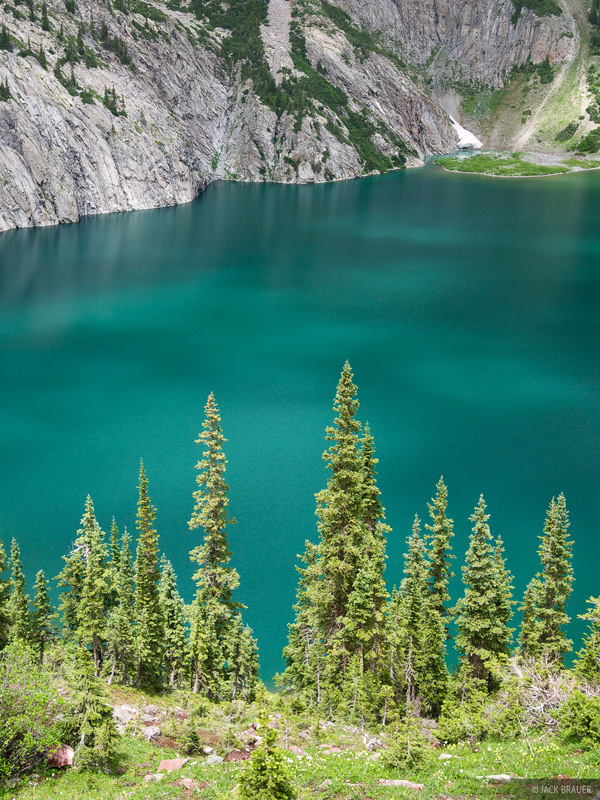 Pine trees and Snowmass Lake. 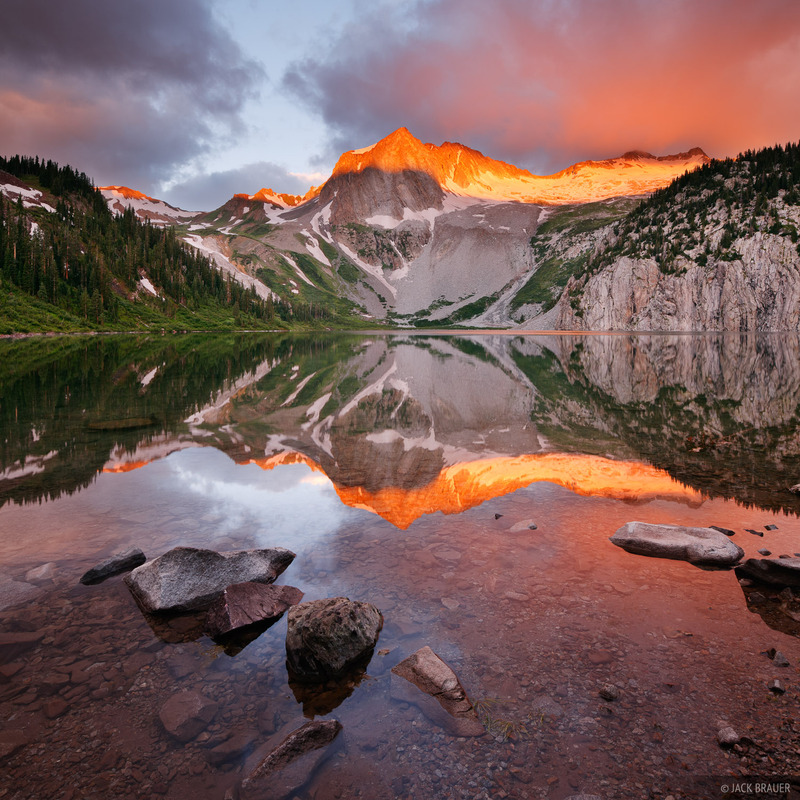 Brilliant alpenglow on Snowmass Peak and Snowmass Mountain (14,092 ft.), reflected in Snowmass Lake. 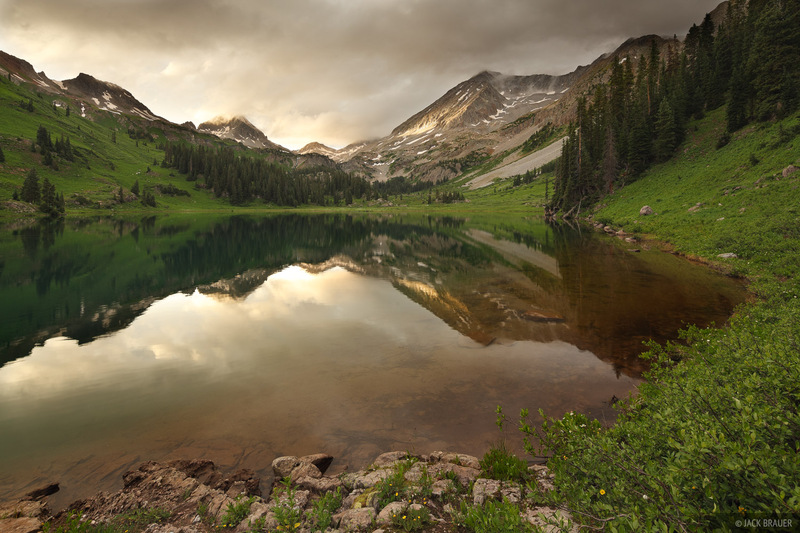 Early morning shadows play on Snowmass Peak, reflected in Snowmass Lake. 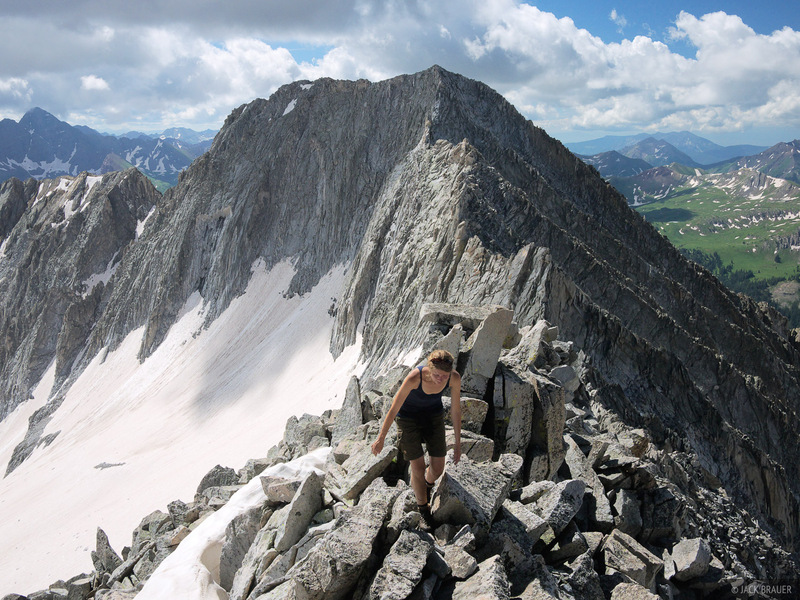 Claudia scrambles up the southern ridge of Snowmass Mountain, on the way to the 14,092 ft. summit. 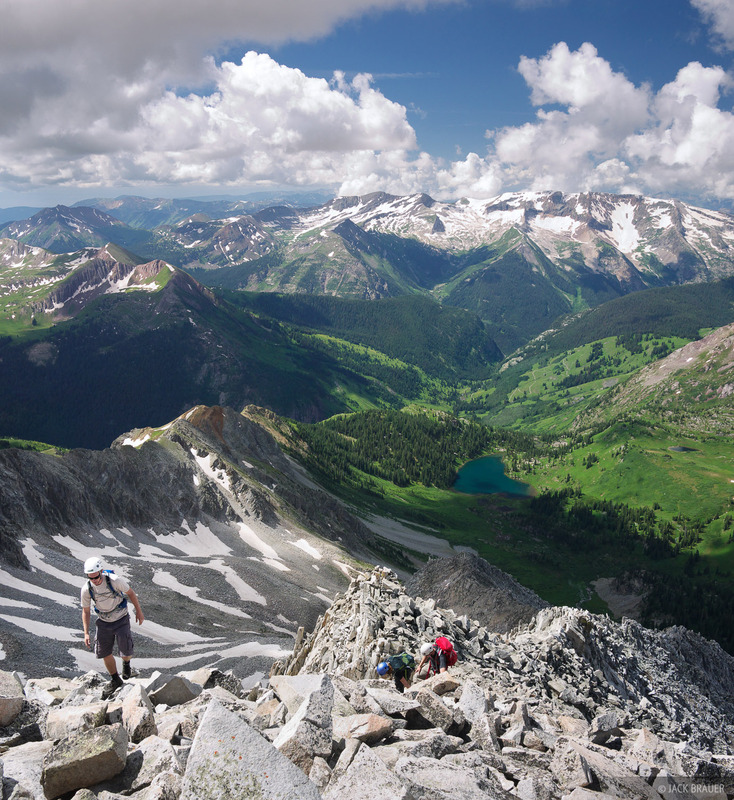 Anonymous climbers arrive at the 14,092 ft. summit of Snowmass Mountain after climbing up the west ridge. 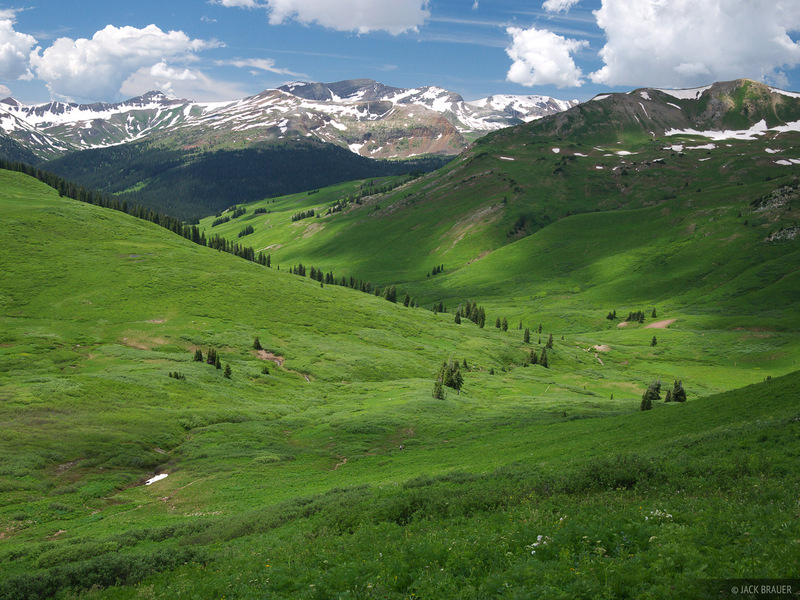 Panoramic view from the summit of Snowmass Mountain (14,092 ft.). 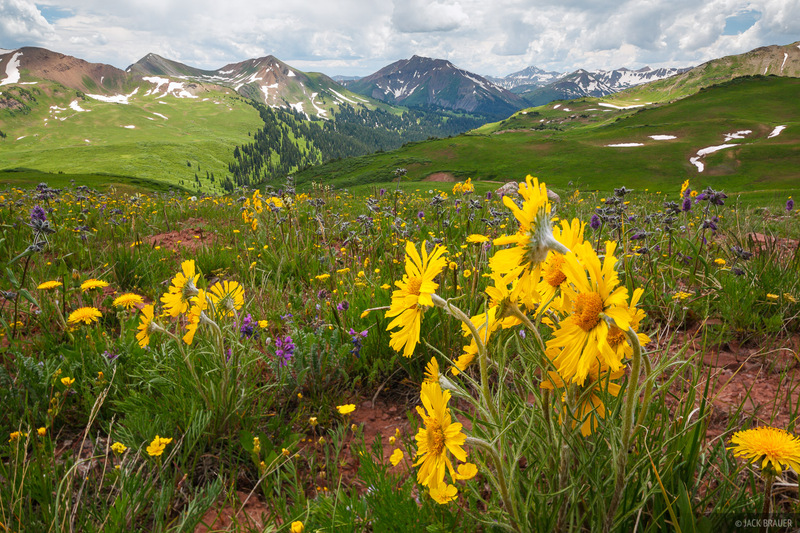 In the left distance are the Maroon Bells; in the center distance is Treasure Mountain. 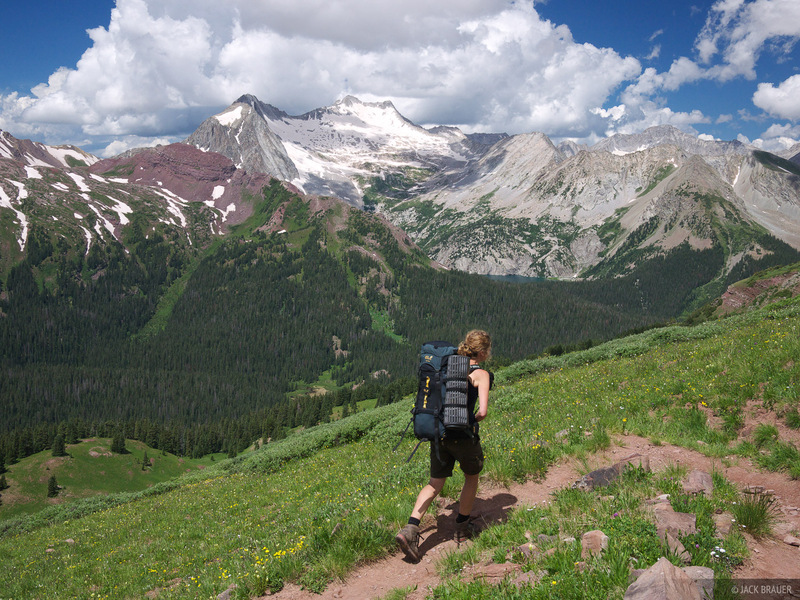 Hiking up Buckskin Pass, with Snowmass Mountain behind. 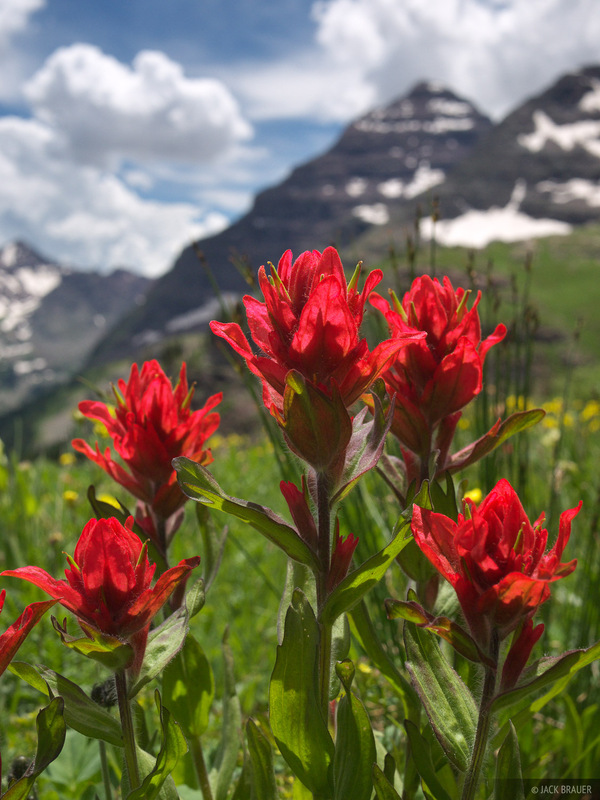 Blood red Indian Paintbrush wildflowers on Buckskin Pass, with North Maroon Peak (14,014 ft.) behind. 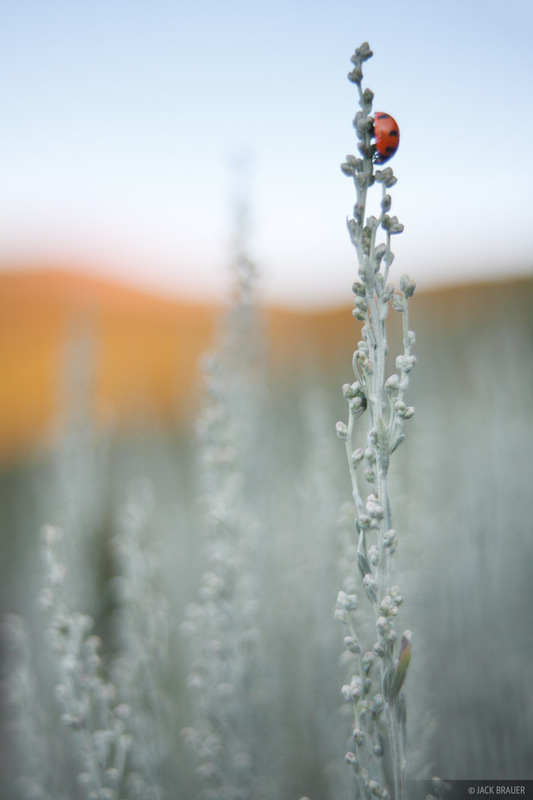 A ladybug sits atop a sage brush at sunrise. 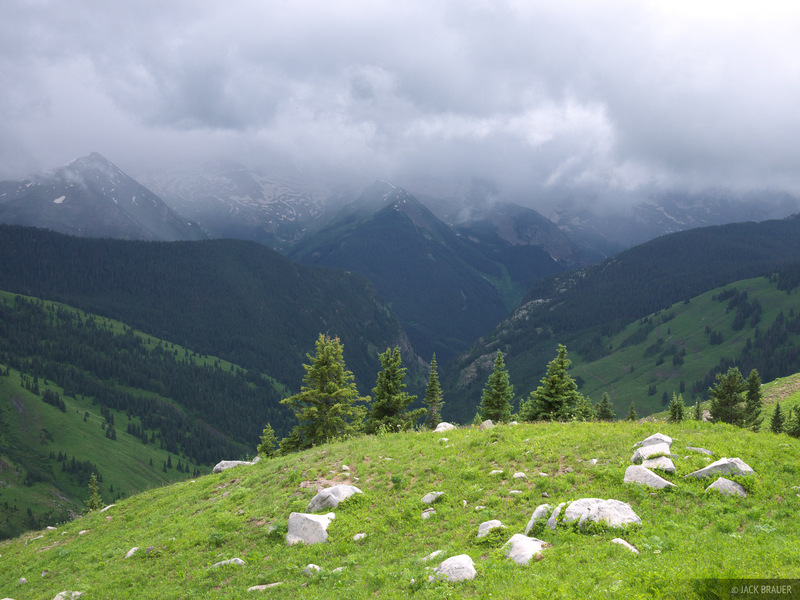 Posted in Backpacking & Trekking, Colorado and tagged Colorado, Elk Mountains, 14ers.